Guys, I really , REALLY want to be proved wrong , but there hasn't been an official confirmation of anything, it's like disney buried the series on their backyard. personally, i think disney is aware of the great reviews and quality this show possesses, and that uprising is in a limbo state right now. If TR3N does well when it comes out, or if possible DVD sales prove successful, it can have a positive impact on the possible continuation of the show. If they mean to cancel it, they could just announce it openly. It's hard to say really. Uprising was a good series and it's possible to continue the story. Disney is known to ignore some of their better animated series and video games (cartoon network/WB is also known for that), but they might surprise fans when they least expect it. I'm cold and calculating. Don't press my buttons. ShadowSpark Wrote:I won't stop fighting for it. Lost cause or not. I want to see more of Uprising in the future. You don't see much quality animation like that anymore. My thinking largely reflects this too, IZI. To myself, patience is foremost. 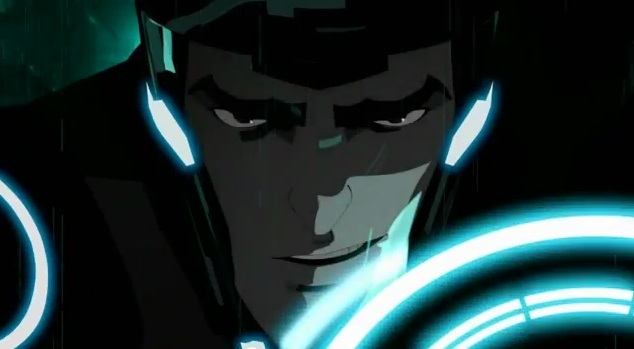 Developments can easily take a very long time - and when I learned of Tron: Uprising's fate, I knew that at the very least, myself and others would have to be willing to stand up for it for at least two years - if not longer. It would take at least that long either for developments to arise, or new announcements to come about as Disney (or other forces at work) gauge and plan their course of actions. I don't meet any silence with despair; I also share the same frustration that many a fan possesses. Though we're essentially stuck with a silence of any official word, this period is critical. They may be silent, but we must not be - any and all support from fans may have a cumulative effect, no matter it's type.